While running an ecommerce website on Magento 2, you can always improve default features of the platform. For some users shipping methods and rules introduced in Magento 2 are enough, but it is possible to make them even better. 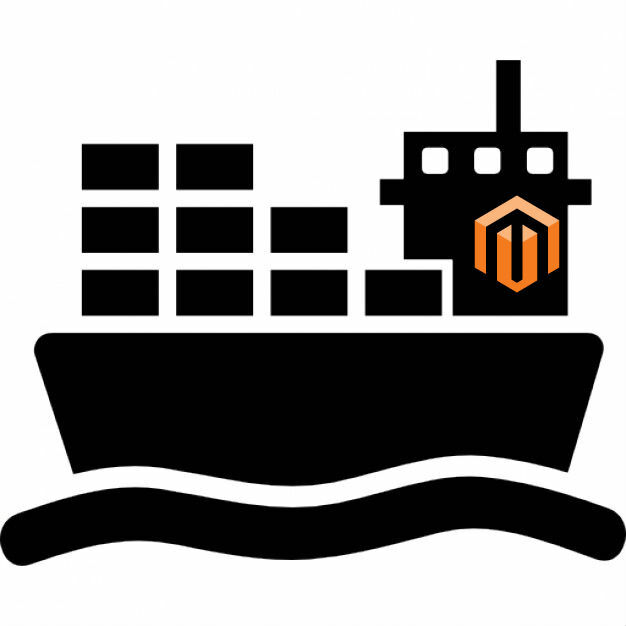 You only need to install an appropriate Magento 2 shipping rules extension and Magento 2 shipping methods modules. 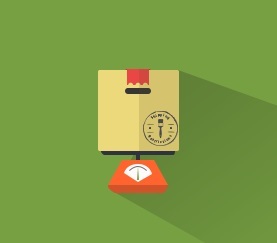 To simplify your daily routine, we’ve already discovered the best Magento 2 shipping extensions and gathered them below. 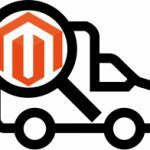 With the help of this Magento 2 shipping rules extension, you will essentially revamp the default shipping functionality of Magento 2. The module provides the ability to create custom shipping rules on the basis of various product conditions and different shopping cart attributes. As a Magento 2 store owner, you can easily apply delivery surcharge or discounts as well as replace some shipping rates. 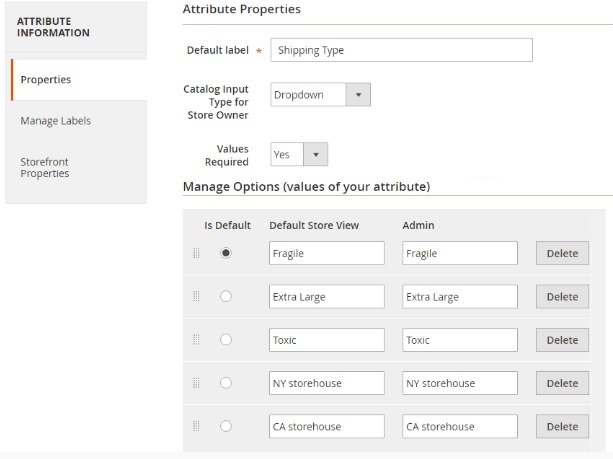 Other features of this Magento 2 custom shipping methods extension include custom shipping rates for each product or order; customer group based shipping; store view based shipping; address information based shipping rules, etc. 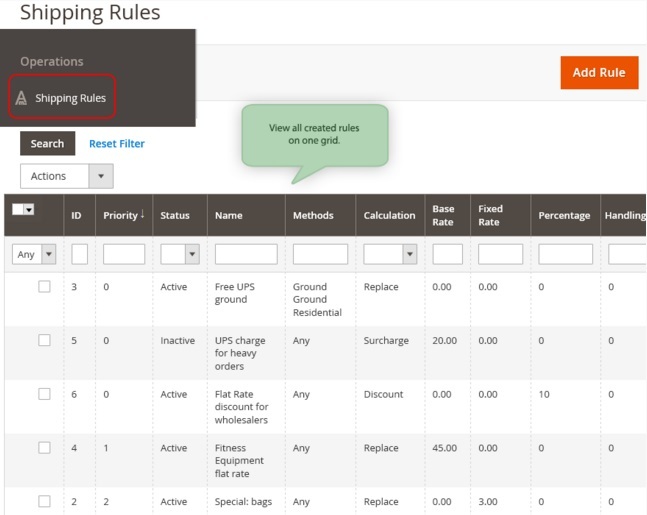 It is also necessary to mention that you can create an unlimited number of rules with Shipping Rules for Magento 2 by Amasty. 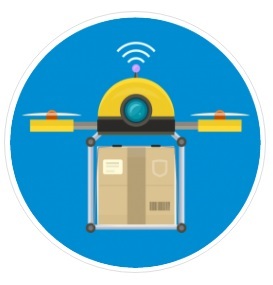 Along with new custom shipping methods there is always a necessity in restricting various shipping methods on the basis of product, cart, or customer parameters. 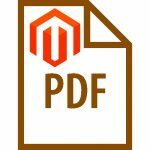 Therefore, we’d like to draw your attention to Shipping Restrictions for Magento 2 by Amasty, because this Magento 2 shipping methods extension blocks certain methods of chosen shipping carriers and creates various restrictions, so you can easily restrict shipping by customer’s data, product attributes, and order information. Besides, there is an opportunity to utilize store views and customer groups as a restriction base. 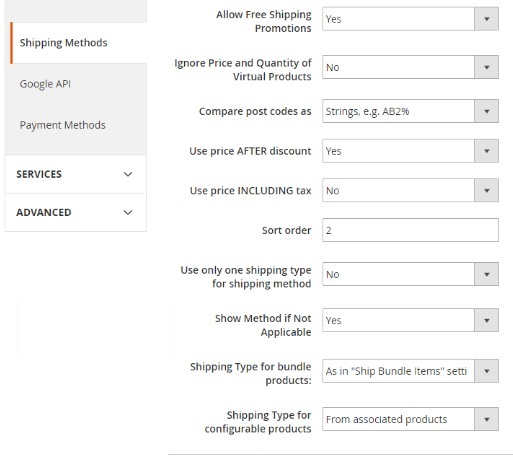 Another feature introduced in this Magento 2 shipping extension is the ability to disable shipping with coupon. The Amasty Shipping Table Rates Magento 2 module allows you to create an unlimited number of shipping methods with multiple flat and table rates. At the same time, it allows you to leverage the combination of flat and percent rates. Having installed the extension, you will be able to set specific rates for various products and their groups or create rates on the basis of product types. 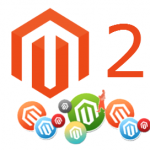 It is also necessary to mention that the Magento 2 shipping methods extension provides the ability to leverage such parameters as address, price, weight, and quantity for more precise shipping calculation. And it fully supports rates import so you can upload them to your Magento 2 backend and edit them there manually. 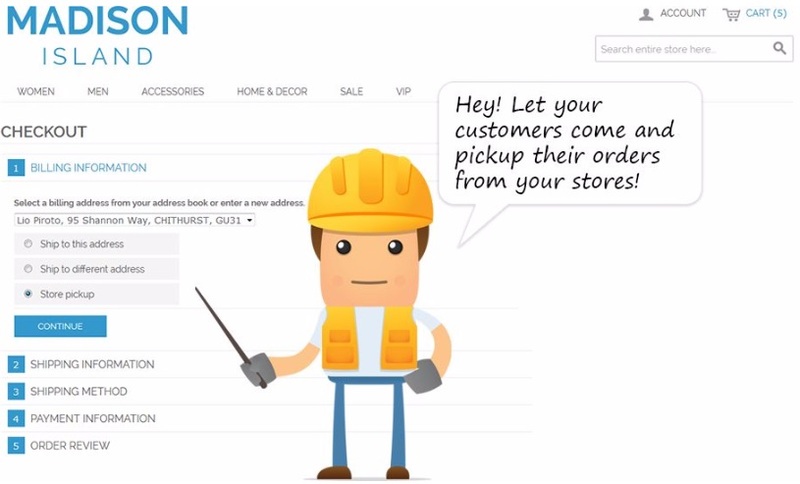 Having installed this Magento 2 shipping methods extension, you provide your customers with an opportunity to pickup their orders right from your brick-and-mortar store. 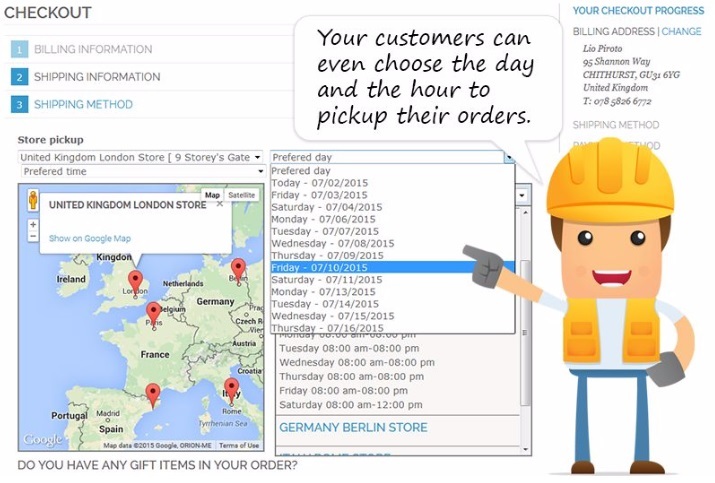 They can even choose a day and an hour to pick up purchased items. Pickup@Store shows all available places where customers can pick up goods on a Google map. 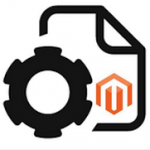 Besides, the Magento 2 shipping module points directions to them from any location. 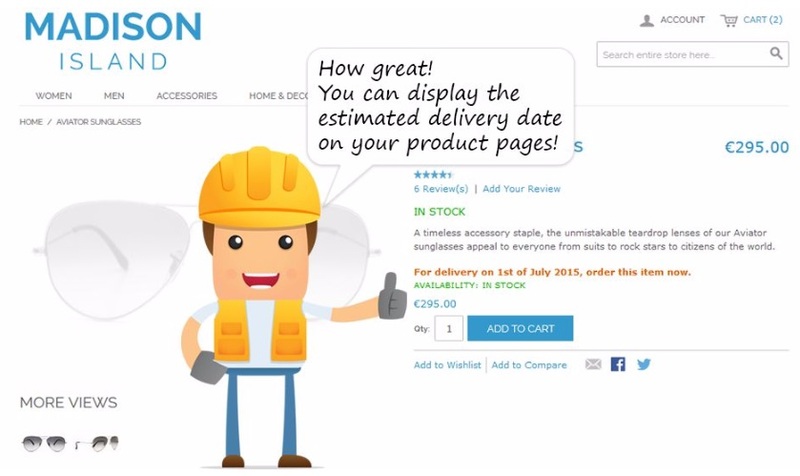 It is also necessary to mention about estimated delivery date Magento 2 extensions when it comes to custom shipping methods and rules. Although the functionality of Estimated Delivery Date for Magento 2 by Wyomind differs from the aforementioned tools, this is a must have Magento 2 shipping rules extension for every ecommerce website, since it displays estimated delivery date on product and checkout pages. As a store owner, you can customize the extension with pre-defined variables as well as add a dynamic countdown to product pages. Note that the module is highly configurable. 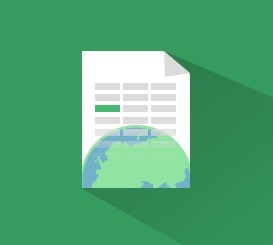 The MageWorx Shipping Suite Ultimate extension provides the ability to streamline advanced shipping rules and restrictions, enables flexible delivery rates, and lets you create highly customizable shipping methods. 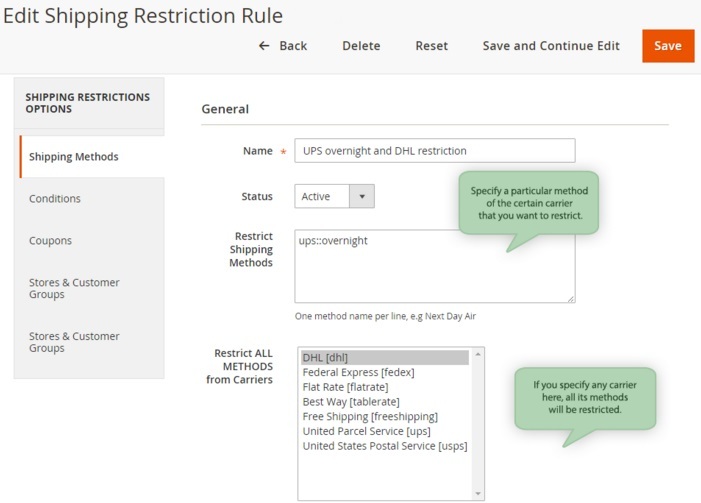 With this Magento 2 shipping rules extension, you can create flexible shipping rules on the basis of products, addresses, and cart attributes. 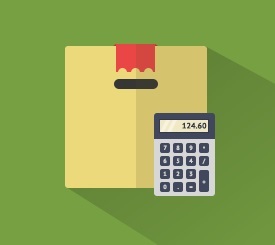 It is also possible to modify and re-calculate shipping costs in accordance with your business requirements.